This post is Part 6 of a series to augment the Guest Resources available for free download. Start with Part 1 here. 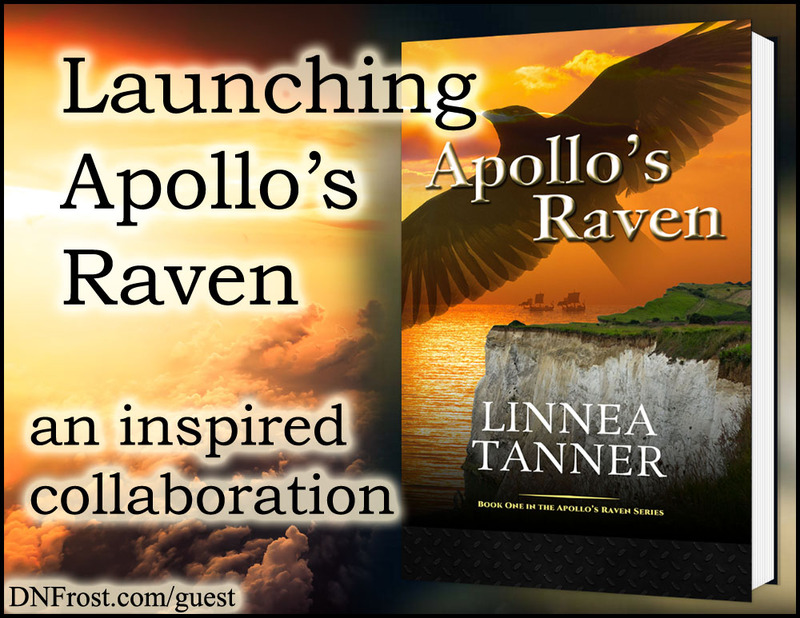 After connecting in Part 1 of this series, I worked together with Linnea Tanner to create a map of ancient Britannia for her new book, Apollo's Raven. I kept in touch with Linnea after the map was done, and when the time came for her book to launch, I reached out to her to see if I could help promote her book. I loved Linnea's concept of a historical fantasy set in the world of the ancient Celts, and I wanted to do my part to help her unique concept reach its audience. When we finished, Linnea also wrote this post about our collaborations on her blog. To promote her launch and ease the pressures of troubleshooting her new author website, I spruced up my original blog posts about our collaborations. Linnea was kind enough to let me mirror my two guest posts from her website onto mine. My three-part series about my work with Linnea expanded to five posts, but I wasn't done yet. I wanted to read and review Linnea's book. I was going to wait and purchase her book after its launch, but I realized my review wouldn't be very supportive if I published it so late. Through my work with the Tales of the Known World saga, I learned that a book launch goes best when there are reviews ready beforehand. But I didn't know how many Linnea had already accrued, so I asked her what her preference would be. In order for my review to be ready for her book launch, Linnea sent me an advanced reading copy of her novel, which I read in a matter of days. After writing my review, I shared it with her along with some of the insights I learned about publishing through Amazon. Then I prepared to publish my extensive book review for Apollo's Raven on the same day as her launch. Meanwhile, Linnea wrote her own story about our collaborations, and we awaited the book launch eagerly. Collaboration D.N.Frost Fantasy Author here. And be sure to subscribe to Linnea's awesome website, if you haven't already! That's it for this post! Up Next: My review for Linnea's first book... Coming 4/10.